For me, one of the most exciting trends that I’m seeing from companies like Apple and Google are the unification of desktop and mobile experiences. I’ve thoroughly enjoyed using the developer preview of Mountain Lion on my Macbook Air if only because it makes my notes, calendars and chats show up on all of my Apple devices. Because of this, I don’t even think of them as separate devices anymore. I have one computing experience that is carried out by a series of devices. I remember how difficult it used to be to get information to and from a mobile device, you’d have to email things to yourself. When I had a Sidekick, I’d IM little notes, phone numbers, or directions to myself from my desktop computer. Slowly but surely, we’ll never have to do those things again. Google announced today that it is slowly releasing what it calls “a new local search experience across your devices”. That’s a fancy way of saying that things you search for on your desktop computer will be readily available for you when you pick up your mobile phone. A seamless and integrated computing experience at its best. How often are you doing a Google search from your computer to find information about a place before going there? Now, next time you go to Google.com on your Android phone or iPhone, information about that place will be conveniently available under the new “Recent” icon. 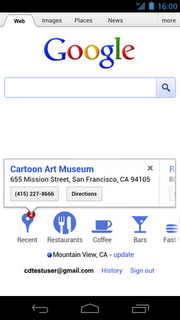 Calling, getting directions or seeing details about the places you just searched for is now only one tap away. This means that the next time you’re looking for directions or information about a restaurant you’re going to later on that night, once you shut your computer down and pick up your mobile phone, you’ll be able to continue your reading experience or get the details that you need. You don’t have to worry about syncing your phone or copy and pasting any details to yourself. The best part about this new feature, which should be available for everyone in the coming days, is that you don’t have to download an app to use it. Simply log into your Google account from whichever browser you’re using on your iPhone or Android device and the recent places button will be waiting for you. The data doesn’t stay forever though, it will wipe itself clear in a day. It’s a nice way to access things on your mobile device without having to bookmark it or send it to yourself. Before Google’s former CEO Eric Schmidt spoke at the Mobile World Congress last week, the company did a demonstration of its Chrome browser for Android devices running Ice Cream Sandwich. 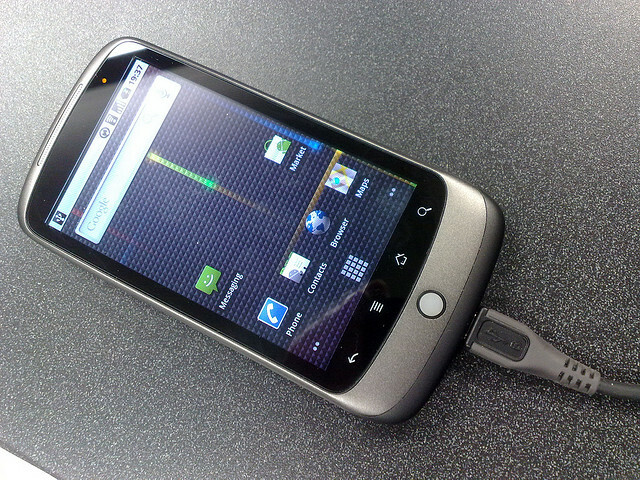 The feature that Google focused on was the portability of your desktop actions and history over to your mobile device. I expect this to be a theme for 2012 and by the end of the year, you’ll be interacting with all of your devices in the same way using the same tools and the same data with the only difference being how large the screen is or where you are when you’re doing it.